Do you like to hike or climb mountains? The highest mountains in the United States are found in Alaska, California, Colorado and Washington. These mountains are all around 14,000 feet tall. If you’ve climbed them, you know that 14,000 feet is a long way up! But Mt. Everest, the tallest mountain peak in the world is twice as high as these mountain peaks at 29,028 feet. This is more than 5 ½ miles above sea level! You could stack almost 20 Empire State Buildings in Mt. Everest’s space. Mt. Everest sits on the border of Nepal and Tibet. It was formed about 60 million years ago when India moved northward and bumped into Asia. This movement caused the seabed between Asia and India to crumple and rise up. The plates underneath the Himalayan Mountains and Mt. Everest are still moving. In fact, Mt. Everest grows about 2 inches every year! A climber can expect to pay $50,000 or more to climb Mt. Everest. Over 4,000 climbers have attempted to climb Mt. 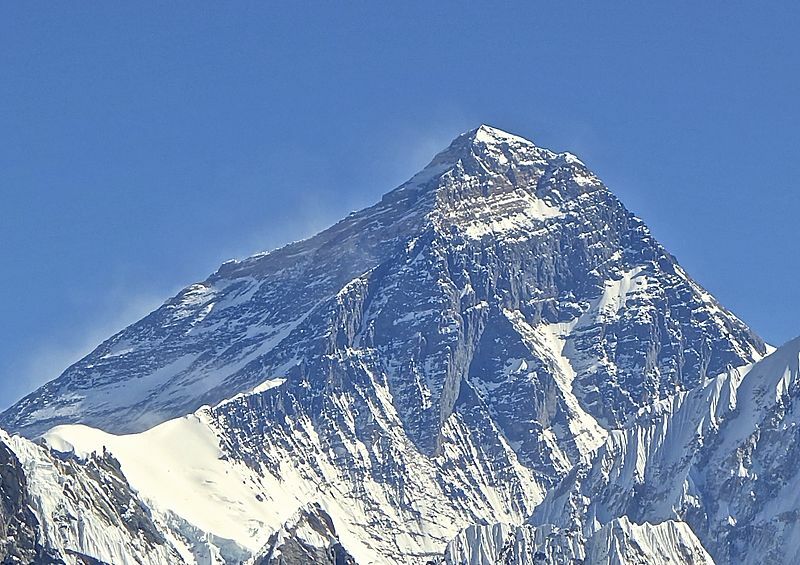 Everest but only 660 have succeeded. Over 142 people have died trying to reach the summit. Between 8 and 10 people die every year making the attempt. Why is Mt. Everest so dangerous? Avalanches, freezing temperatures, storms, altitude sickness and low oxygen. The temperature on Mt. Everest is 97 degrees below 0. Brrrr! The first people to reach the top were probably Edmund Hillary and Tenzing Norgay on May 29, 1953. George Mallory and Andrew Irvine may have reached the summit first in 1924. They died on the mountain so we have no way of knowing if they reached the top. The trash left behind by climbers on Mt. Everest is a huge problem. Empty oxygen bottles, torn tents, food containers, broken equipment and poop litter the trails. This is a video documentary about how the Mount Everest was formed. Question: Do people climb Mt. Everest alone or in groups? Answer: People usually go in groups, along with sherpas, who are native guides. 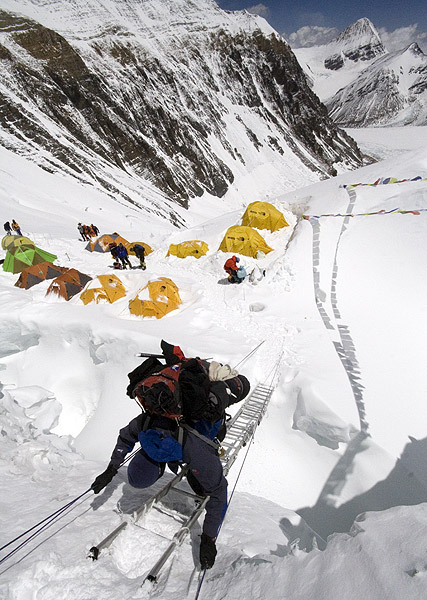 Sherpas are accustomed to the altitude and the fierce conditions. Enjoyed the Geography for Kids all about Mount Everest info? Take the FREE & fun all about Mount Everest quiz and download FREE Mount Everest worksheet for kids. For lengthy info click here. Declan, Tobin. " Mount Everest Facts for Kids ." Easy Science for Kids, Apr 2019. Web. 26 Apr 2019. < https://easyscienceforkids.com/all-about-mount-everest/ >.